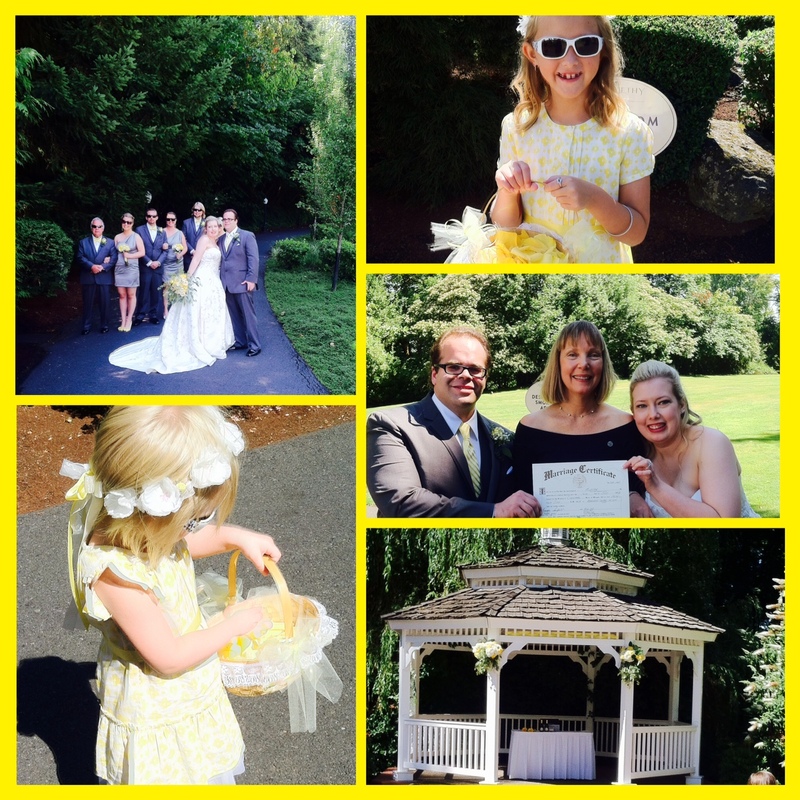 Best friends for almost 15 years, Kris and Nicole exchanged vows this morning in the lovely Abigail’s Garden at the Abernethy Center in SE PDX. 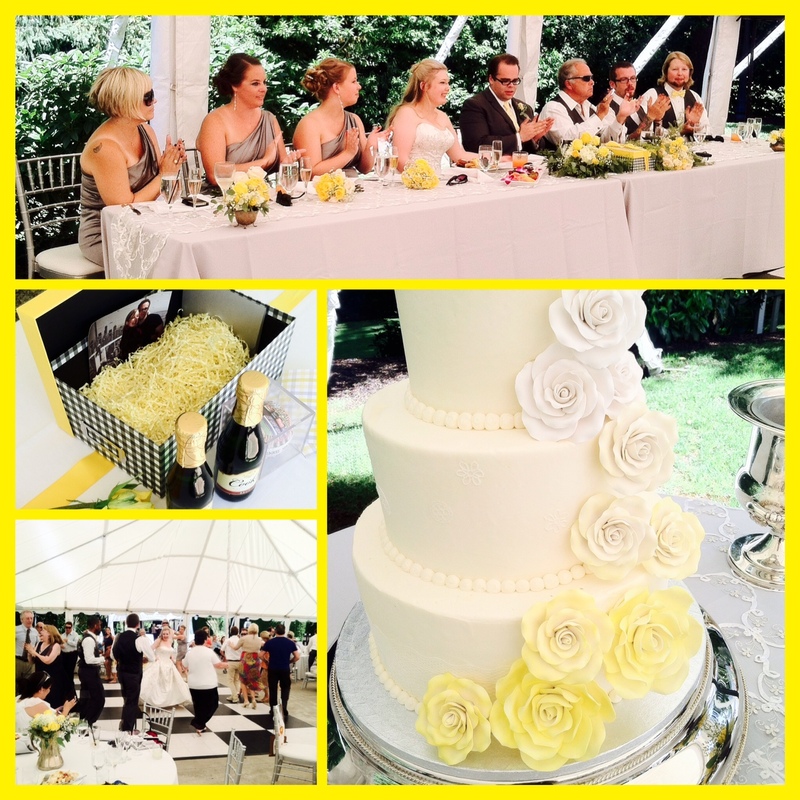 Yellow roses, clear skies and smiles from friends and family made for a sunny start for their big day. Nicole’s parents (in town from Gearhart) walked her down the aisle and readings were given by both the Mother of the Bride and the Mother of the Groom. The couple created a keepsake box for their unity ritual complete with love letters, champagne and a beloved Yankee’s baseball. Following the ceremony, guests enjoyed a delicious brunch, photo booth fun and dancing under the big top. Congratulations, Mr. & Mrs. Saalfeld. All your efforts and planning came shining through and resulted in a wonderful celebration for all. Wishing you much joy in the years ahead.